MUSIC VARIETY TO THE MAX! price tag of a large member group. The members of V-force are all singers who play multiple instruments which in a sense doubles the virtual amount of singers/players on stage. V-force is able to achieve a fuller sound than many bands with half the members. The members of V-force are all veterans of the music scene, each with over 20 years of professional experience behind them. V-force touches all of the necessary genres of music which is the foundation for the making of a great club band. 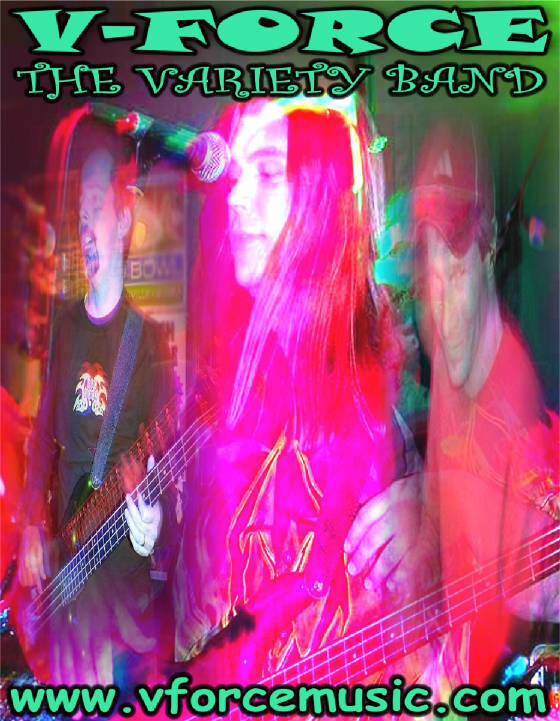 The name says it all...V-force The Variety Band. You'll hear danceable hits from the 60's to Classic and Southern Rock from the 70's. Also, let's not forget the disco era or the cheesy 80's as well as modern rock from the 90's through today. V-force is the perfect combination of talent, personalities, and music favorites to provide a great time for any event.